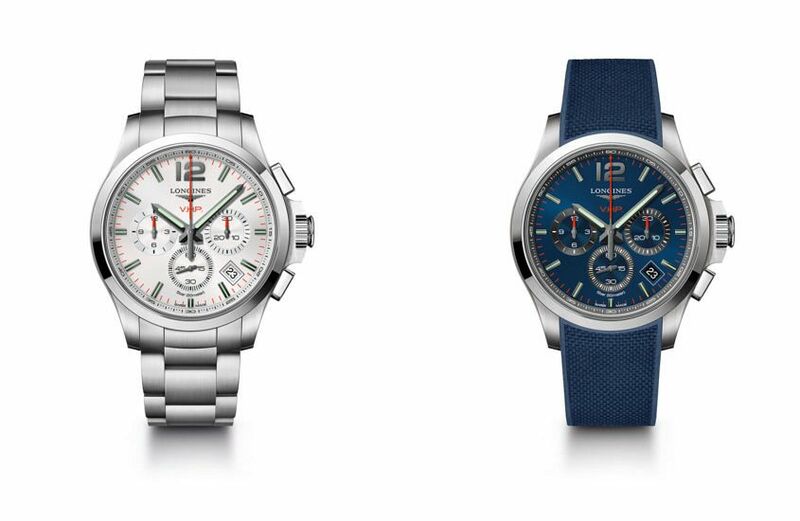 The Conquest is considered by Longines to be “the ultimate sports line”, and with the V.H.P. 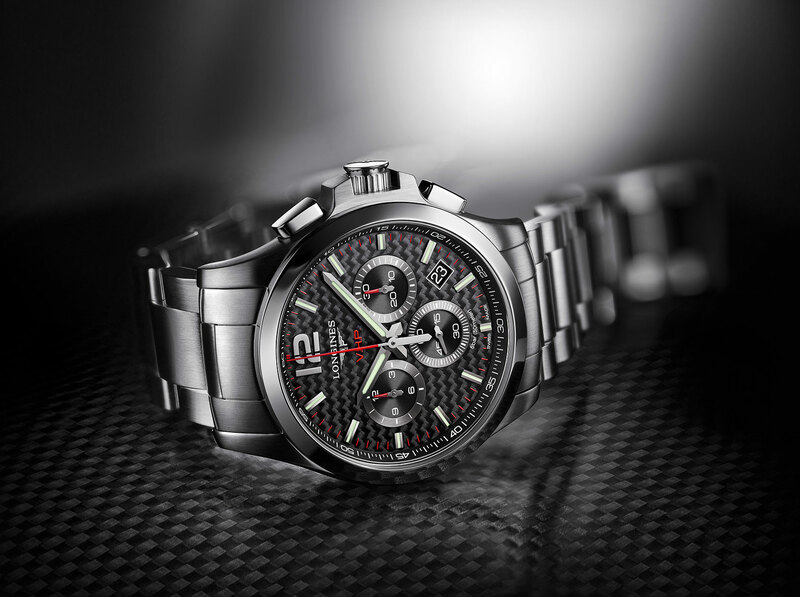 chronograph, the brand is combining sportiness with next-level precision, care of the impressive technical quartz heart that makes the watch accurate to +/- 5 seconds a year. It’s not the first time the winged hourglass brand has set its sights on ultra precision and performance. Longines’ history with quartz has been one full of technical innovations and feats. In 1954, the first quartz watch set a precision record at the Neuchâtel Observatory. It would be fitted into the legendary Chronocinégines, an instrument that became a pioneer in the history of timekeeping. Another huge step forward was made in 1984 with the quartz calibre fitted in the first Conquest V.H.P, setting yet more precision records. These historic milestones form a foundation for the new Conquest V.H.P, with a chronograph calibre in various chromatic variations. The movement developed exclusively for Longines stands out for its high degree of precision for an analog watch and its ability to reset its hands after an impact or exposure to a magnetic field, using the Gear Position Detection (GPD) system. These attractive features are likely responsible for its status as an exceptional movement, to which a very long battery life and a perpetual calendar must be added. These steel or black PVD models are available in two sizes (42 and 44mm in diameter), and display hours, minutes and seconds, a 30-minute counter at 3 o’clock, a 12-hour counter at 9 o’clock, and a 60-second counter in the centre. On each model, the operation of the watch is simplified thanks to the ‘intelligent crown’, while two distinct indicators preventively signal the end of battery life. Conquest V.H.P. chronographs are offered in blue, carbon fibre, silvered or black dials. A steel or black PVD bracelet, or a blue or black rubber watch strap completes these exceptional timepieces. While initially wary of the quartz heart of this watch, we are recent converts to the cause of Very High Performance quartz and the fact that it is more akin to an atomic clock than a cheap quartz watch. This one’s pretty simple. If you’re looking for an extremely accurate Swiss-made watch with sporty vibes, and a chronograph that you practically never need to adjust the date on (it’s a perpetual calendar), and that doesn’t have to be mechanical-hearted, you’ve found it.